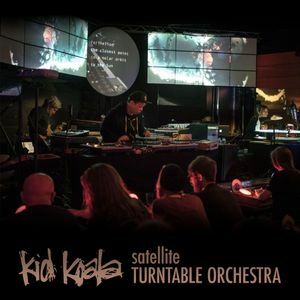 Kid Koala's latest show will have EVERYONE in the audience playing along on turntables! We've created a series of Satellite Orchestra tone vinyl where each disc is designed to harmonize with key moments in the show. Each audience member will be seated at one of 50 mini turntable stations which includes a small crate of colour coded custom vinyl, an effects pedal, and a record player. Through subtle coloured lighting changes in the room, the audience is cued to play along. Kid Koala will present an innovative collection of dreamy, atmospheric tracks composed especially for this event.